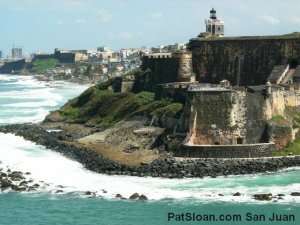 For our forth city in Pat Sloan's Free 2014 Mystery BOM, Globetrotting, we travel to San Juan, Puerto Rico! 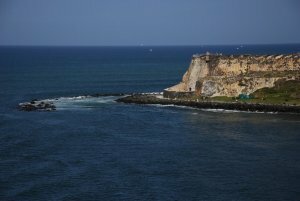 Pat has been to the old town of San Juan several times, and each time she visits Pat discovers something new. The city is the most beautiful port to sail into on ship, she took this photo of the old fort. The old town has two incredible forts. Pat's block is inspired by those old forts, built to protect the city. The pinwheels are the for corners and then the middle is the courtyard, the hub of the fort. 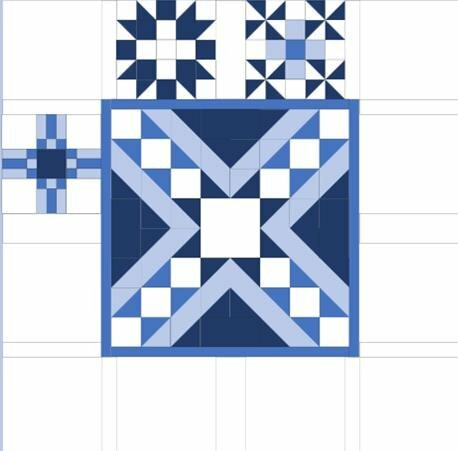 Please click on the picture of the block for a printable pattern. 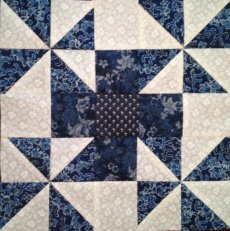 When looking at your fabric chart, Fabric 1,5,6 and 9 are used in this block.